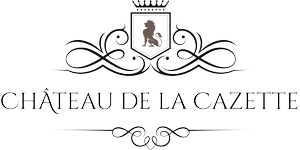 The first well-known owner of the Maison de la Cazette is Jean Arlaud alias Jean-Louis Borel also known as the Captain of the Cazette in 1553. By right of succession, the domain belongs to Matheron, the family of Voland and for 250 years to the family De Barlet (renowned lawyers), located in Aix en Provence. Initially, La Cazette was a used to be an hunting lodge. The domain has been transformed in the 17th century to become the gorgeous Residence we can admire today.